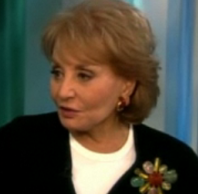 Mediaite has a clip from “The View” of Barbara Walters getting called out. Jessica Hahn, who was a guest this morning, and is most notable for being a mistress to televangelist Jim Bakker, didn’t like her relationship with Bakker being categorized as an “affair.” When Walters did so, she didn’t hesitate to remind her of her own past indiscretion with a married senator. Then things got awkward. Watch it here. 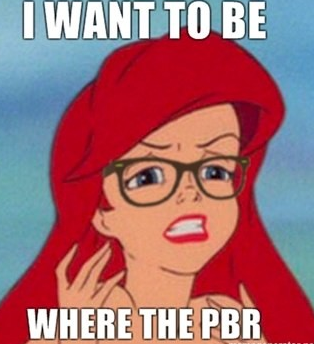 Geekosystem has rounded up the very best of the “hipster Disney princess” meme. 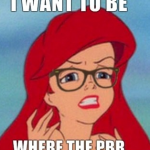 If you thought there wasn’t much comedy to be mined from screenshots of princesses wearing horn-rimmed glasses, you were wrong. Check them out here. Oof: Styleite covers Beyoncé’s latest photoshoot, in which she dons traditional African garb for L’Officiel Magazine. Here’s the controversial part: she’s also in blackface. Though having Beyoncé featured in such a spread is mildly less offensive than having a white model do it, it still brings up a host of issues. To read the full post, click here. On Sportsgrid today: poor Blake Griffin. First he blows everyone’s mind with his dunk-via-a-Kia-Optima, now he’s facing accusations that the idea wasn’t his own. Random dude Michael Scrivner claims he tweeted at Griffin, “Seen you want dunk ideas on ESPN Park a car on the court [sic] Jump over the car while the driver throws you oop through the sunroof.” But I mean…Griffin was still the one who actually did it, right? Get the full post here. Oh, dear: Gossip Cop covers a rumor that “Glee” star Dianna Agron is afraid of her now-ex-boyfriend Alex Pettyfer, after a string of violent outbursts from Pettyfer post-breakup. Which was, as you’ll recall, a week ago. Sources close to Agron share Gossip Cop’s urge to tell everyone to relax — apparently none of this is true. What a shock! To read the full post, click here.